With the Abel Tasman National Park to the west and the Marlborough Sounds to the east, Tasman Bay is surrounded by mountains and throughout the summer months gets excellent sailing conditions in the sea breezes which develop during the late morning and afternoon. 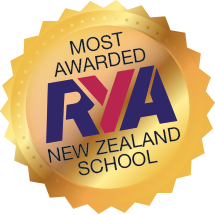 This, combined with a good tidal range of up to nearly 5 metres and Nelson’s renowned sunshine hours, provides one of the best sailing areas in the world. The shores of Tasman Bay include the rich birdlife of the Waimea Estuary, lush vegetation and golden sands of the Abel Tasman National Park, wide expanse of Golden Bay and the wilderness of D’Urville Island. Residents of our coastline include seals, dolphins, stingrays and penguins. Every season many people are even fortunate enough to see the visiting Orcas. 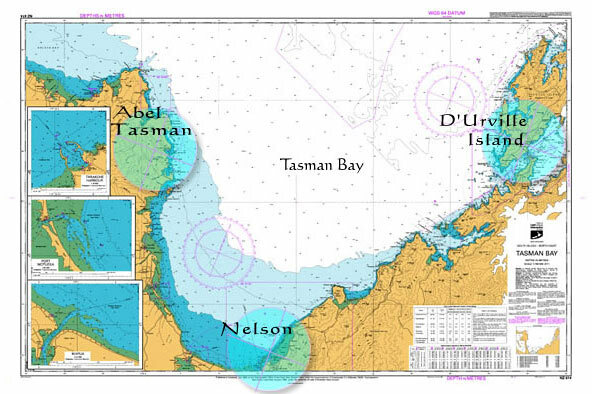 French Pass between D’Urville Island and the mainland has New Zealand’s strongest tidal race and offers an excellent opportunity to test your navigation and chartwork skills. Throughout a week on board there are numerous opportunities to practice entering small tidal harbours, anchoring techniques, sailing skills and everything else relevant to cruising aboard a sailing yacht.